With a sea of Black faces, including billionaire Bob Johnson of BET, Senator Tim Scott of South Carolina, and United States Secretary of Housing and Urban Development Ben Carson, Trump assured the mainstream media that this is one of the solutions to fix the numerous economic problems in urban America. Under Carson’s leadership and direction, 13 federal agencies have already put together a list of 8,761 potential designated action zones. All 50 states, the District of Columbia, and five U.S. territories are able to participate in the Opportunity Zones (OZ) initiative. State governors are responsible for nominating low-income communities based on qualified census tracts, and the U.S. Department of the Treasury will certify Opportunity Zones within 30 days of receiving nominations. “The White House’s new executive order for agencies to prioritize OZs is a positive first step to transform more communities into walkable, equitable, and thriving places and repair the mistakes of the 20th century that led to sprawl and disinvestment,” said Christopher Cotes, Director of LOCUS, a program of Small Growth America. On paper, Opportunity Zones appear to be an excellent concept, and major corporations have an opportunity to invest in distressed communities and get a break on their taxes. These Opportunity Zones were created a year ago under the 2017 Tax Cuts and Jobs Act, but a year later there are still no established rules to implement the program. At the executive order signing, different prominent Blacks spoke in favor of the project. Pastor Donté Hickman of Southern Baptist Church, in partnership with other faith-based stakeholders’ institutions, has created the East Baltimore Revitalization Plan. The plan will address development needs of 100 acres, approved and adapted by the City Planning Development of Baltimore. “Our area has been federally designated as an Opportunity Zone, and this bipartisan legislation can leverage public and private funding toward community revitalization,” said Pastor Hickman. Johnson is also a big supporter of Opportunity Zones. “What this proves is the efficacy, Mr. President, of a program that allows capital to flow to places where people are seeking out opportunity. And I am convinced that this program…will cause people to invest money where before they saw risk. Now they see opportunity,” he said. It is too early to reach an informed opinion on the Opportunity Zone project. There are different numbers from different leaders on the amount of money the government is willing to invest. Some say $1.3 billion; others say $2.2 billion — but both numbers are substantial. 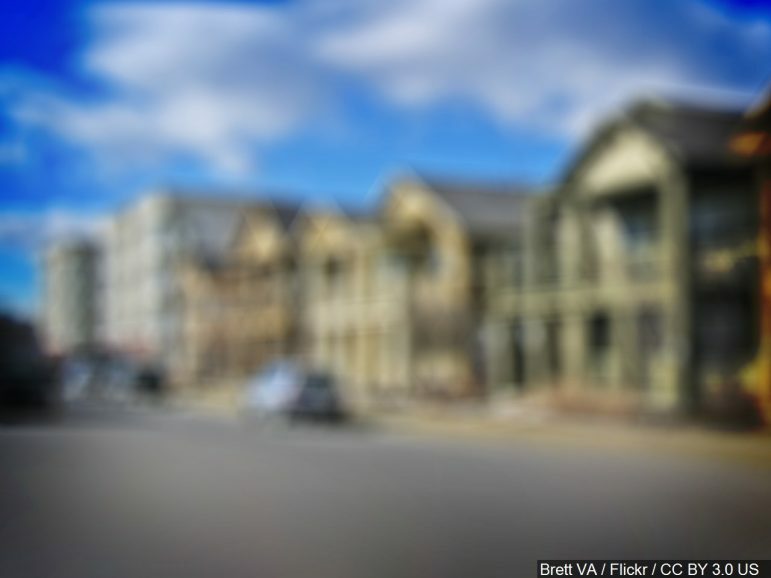 To begin, very few African Americans are aware of or have information about Opportunity Zones, and many consumer advocates warn that the investments may not reach distressed areas. Many of these projects will be a public/private partnership, and many companies refuse to invest money in a poor community, where they don’t foresee getting a return on their investment. As everyone gets excited about the Opportunity Zones project, everyone must remember that no Opportunity Zones have been identified, and the Treasury Department has yet to establish rules for the program. Roger Caldwell is a contributor for the NNPA Newswire.